Ryan and I never watch NFL games, except of course once a year during the Super Bowl; we aren’t fans of any particular NFL team either, so it’s kind of nice to be a neutral party where that’s concerned. I have to say that this year’s game was quite enjoyable and, in my opinion, Justin Timberlake did not disappoint with the halftime show…I mean, that thing he does with the mic stand (I don’t care if it was tied down, it’s still the coolest) – wow! 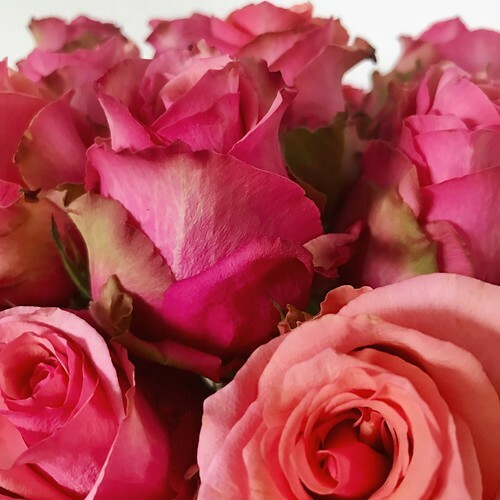 And then, of course, there are all the clever commercials; this one and this one (I’m a sucker for Dirty Dancing) were a few of my favorites this year. 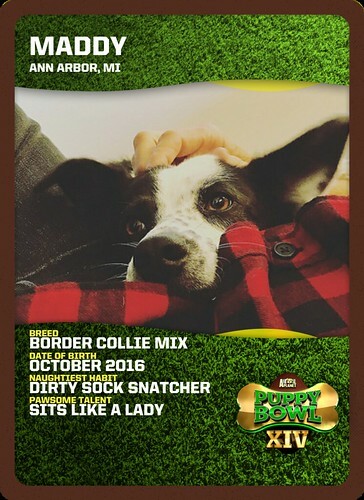 Honestly, for me, the highlight of my Super Bowl Sunday is watching the Puppy Bowl; I had fun creating my own Puppy Bowl trading cards (here and here) and I believe this year’s dogs were all rescues from different natural disaster zones which makes it even more heart-warming. Maddy seemed to enjoy watching too; here’s her pre-game warm up.